One day my family and I were driving along a road in Lancaster County, Pennsylvania, the county in which we live. We were on one of those we’re-sort-of-lost-but-not-really-and-not-particularly-worried-about-it-trips. I look over to my right I see this. 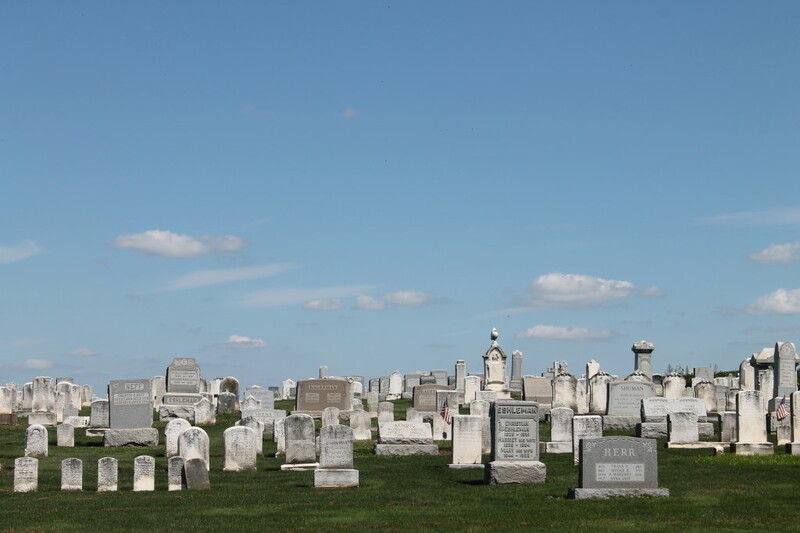 The sky so perfect, the grass so green, the gravestones so beautiful. I had my hubby pull over and I jumped out for some shots. Something that people who know me in real life know about me is that I love photography. I love taking photos. I take more than 200 photos a week on average. If we go on a road trip somewhere (which is pretty common for us) that number doubles. I’m not seen too many places without my camera. Something that not a lot of people know about me is my love for photographing gravestones. The thing is, I think death is beautiful. As beautiful as birth. Certainly as beautiful as life. I worked as an Estate Administration Paralegal for years, helping families cope with all the legal issues of dealing with a loved one who has died. I have seen the beautiful, loving side of that and I have seen the nasty, greedy side of that. I have seen families torn apart, of course, but I have also seen the beauty of a family pulled together to lovingly remember their mom, dad, grandma, aunt, friend, husband, brother, child. The greed is (just one of the many) a reason that pushed me away from that job — and from wanting to work in law or even a corporate job at all. Helping people deal with what is maybe the saddest time in their life so far — the people who lovingly helped their loved one to the other side, the people who talk about their grandpa with pride and joy, the people who openly cry and lean on their big brother like when they were 5 and skinned their knee — well, those are the ones that kept me in that job for so many years. 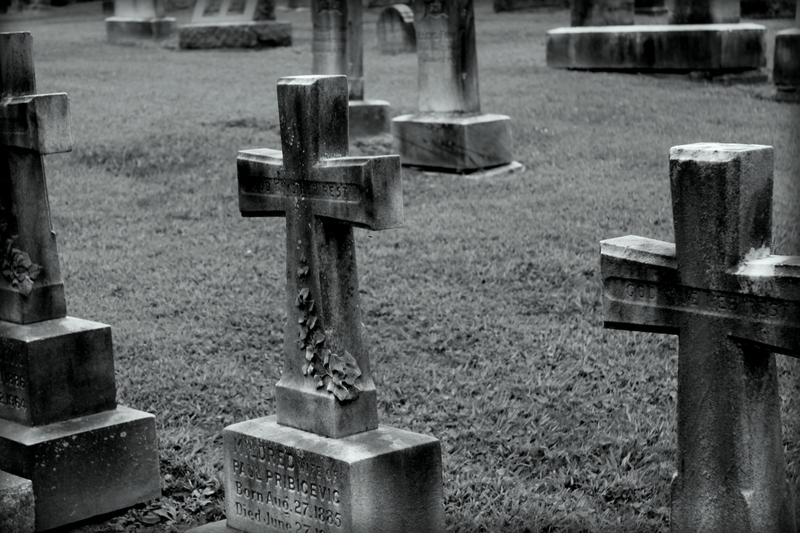 Gravestones are the last gift you give to your loved one. I mean, you might bring flowers to their graves through the years, but the last true gift and sign of your love is that gravestone. What people write and what they pick out for the headstone fascinates me. 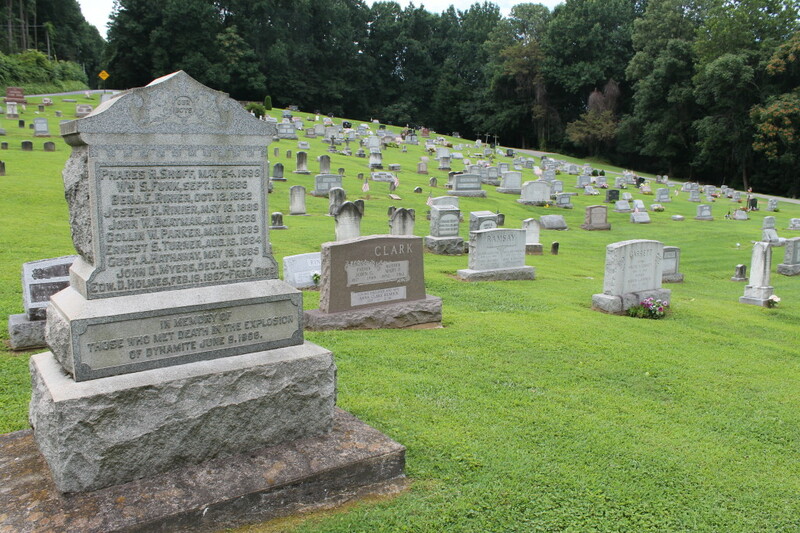 I lived near a cemetery. The cemetery was (in my opinion) one the most beautiful places in the town where I lived, on the top of a hill with a beautiful view. The view included the house where I grew up. 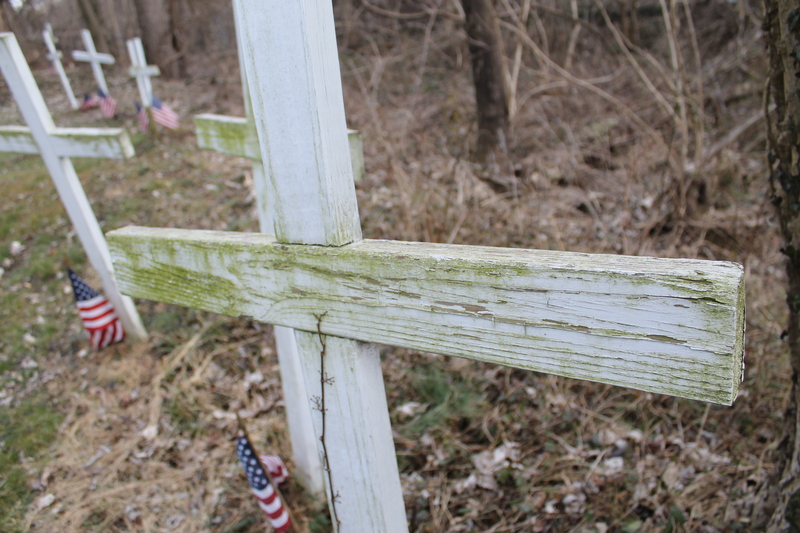 I took photos of Pappy Burkhart’s grave, a man I never knew, and of snow covered flowers. That day was snowy and cold and I can actually remember the feel of the cold, the weight of the camera, how I felt photographing gravestones. How beautiful the little buds of flowers were that were pushing up through the snow showing that there is beauty even in death. Just when I think that I’m done with cemeteries and gravestone photos…..we find another unique cemetery or gravestone. 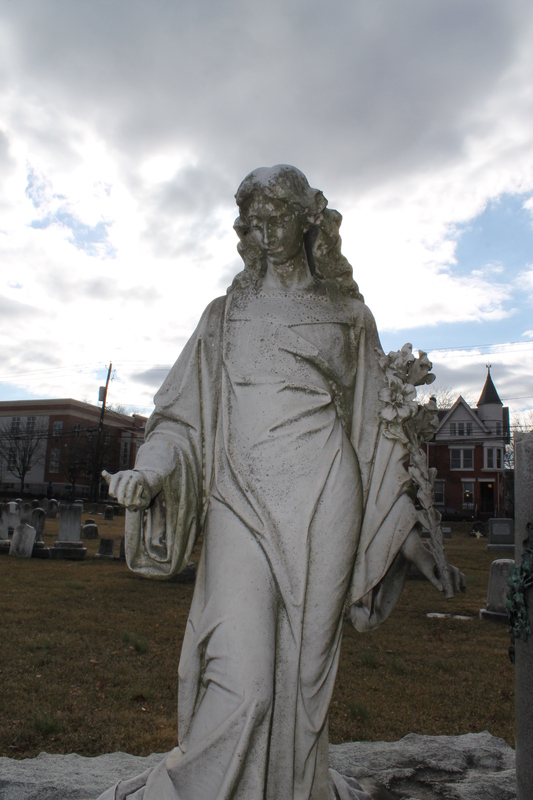 Or we come across someone with an interesting past that the only way to get a photo is to take one of the headstone. I’m sure I’ll keep up this fascination until I’m in my own grave. 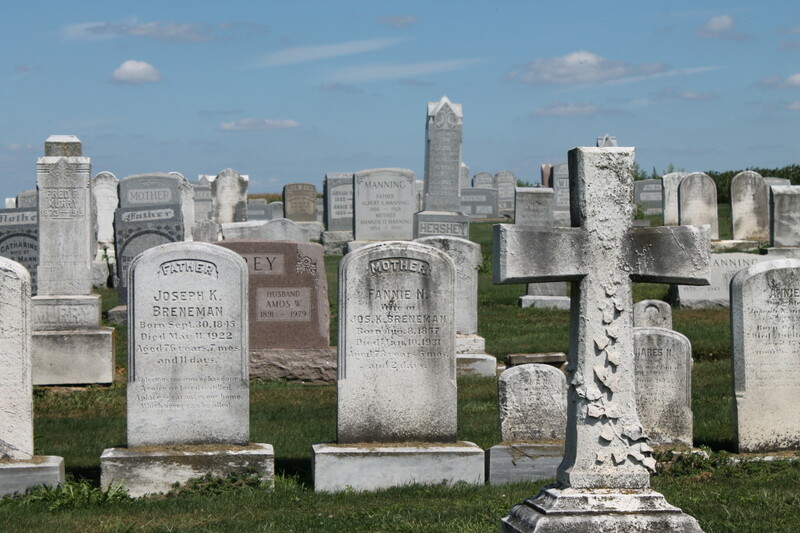 This entry was posted in About Kim, Creative Life, Creativity and tagged camera, cemetery, emerging creatively tutorials, gravestones, landscapes, photography, pictures by Kimberlie. Bookmark the permalink.